During the International Women’s Day Breakfast in Canberra yesterday, Tony Abbott claimed that his wife and three daughters have helped him become a feminist. ‘My views on policy towards women have changed and evolved in response to watching friends of mine, watching colleagues of mine and in particular looking at my daughters grow up and thinking what would I want for them?’ he said. Claiming that he is now supportive of the interests of women, Abbott referenced his paid parental leave scheme. The scheme was proposed during the election campaign in 2013 and promised to provide women who take time off to have children with their full employment wage for six months of the year. Abbott criticised the ALP policy which endeavoured to provide women who have children with the minimum wage for 18 weeks, regardless of their status of employment. He implied that the Coalition policy was much closer aligned with the ideals of feminism as it allowed working women the opportunity to take time off work to have children without losing out economically. The paid parental leave policy and Tony Abbott’s feminist identification was commended in The Guardian on Tuesday afternoon. Although recognising that support for feminism was unlikely from a conservative, white male politician, Bridie Jabour argued that even progressive’s should be happy with the Prime Minister’s decisions. After listening to his daughters and working with female colleagues, Tony Abbott made policy changes which economically privilege working women. But… is this really a step ahead for feminism? Somehow I think not. At the parliamentary International Women’s Day breakfast yesterday, Tony Abbott smugly claimed that he had become a male feminist. In reality, all he has done is show that he supports binary gender roles and reflect bias towards white middle class working women in his policies. While the Coalition paid parental leave scheme may be good for Australian women who want to take time off work to have children, it does nothing for career orientated women who may experience set backs in their jobs if they take six months of the year off. On the contrary, Abbott’s policy encourages professional women to stay at home to look after new born children while their male colleagues increase their job prospects. Not to mention the role the policy plays in reinforcing inequality between high and low socioeconomic groups of women. I’m sure when the Coalition policy was proposed, Tony Abbott was praised by his friends and family; the groups that would benefit from the change. The parliamentary breakfast yesterday made pretty clear that he felt smug that he had done something that increased the economic benefits provided to women who have children. But if you ask me, this does not even remotely reflect Abbott’s support for feminism. 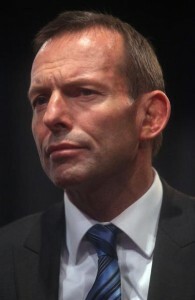 In his policy decisions thus far, Tony Abbott has only supported the interests of white, economically privileged women. His wife, daughters and colleagues may be part of this cohort, but they certainly do not reflect Australia’s whole female population; and pleasing them does not move us any closer towards equality – the ultimate goal for feminism. Feminists don’t de-list world heritage forests. This entry was posted in Feminism, Politics and tagged feminism, News, politics, tony abbott. Bookmark the permalink.